Viezu Now Offering IPE Exhaust and Remap Package for Ferrari F458, Viezu Technologies is proud to announce that we can offer a perfect Ferrari IPE exhaust and Viezu remap package for the fantastic Ferrari 458. Following years of research and development we have now found the perfect exhaust and remap package that will transform the already fantastic Ferrari 458, providing F1 quality sound combined with an exceptional upgrade in performance. Viezu is a Customer focused, service orientated company, and is driven to provide the most professional service available to all our Customers, ensuring any work undertaken on your vehicle is done so in a safe and professional manner. 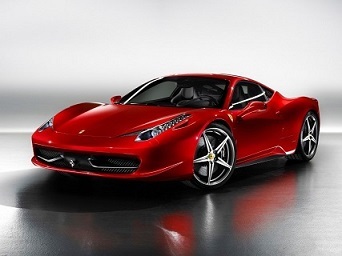 The IPE exhaust will provide power and performance, without compromising the quality of the wonderful 458. When combined with a Viezu Ferrari 458 remap (https://www.viezu.com/tuning/cars/ferrari/458/458#tuning) the true performance and power of your Ferrari will be unleashed. Viezu can cater for any Ferrari 458 owner, regardless of where in the World they are located, and it’s not just the 458 exhausts and Ferrari tuning can be provided for. Full details of Viezu’s Ferrari tuning can be found here https://www.viezu.com/tuning/cars/ferrari/. Viezu can also offer a range of other upgrade options, please contact us on either +44 1789 77 44 44 or info@viezu.com to enquire. You can also check out our latest videos here httpss://www.youtube.com/user/ViezuRemap and keep up to date with our latest Ferrari tuning (amongst others!) here httpss://www.facebook.com/Viezu-Technologies-International-HQ-122618367749940/.